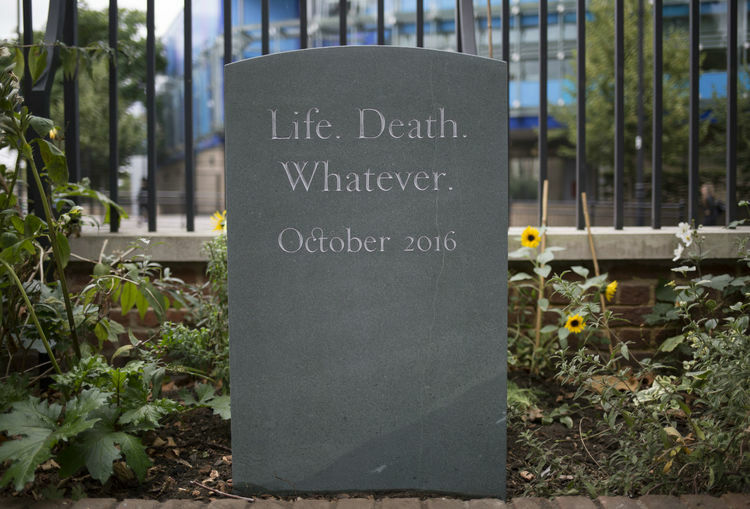 This month I am proud to be a part of an exhibition at The National Trust's Sutton House called "Life Death Whatever". 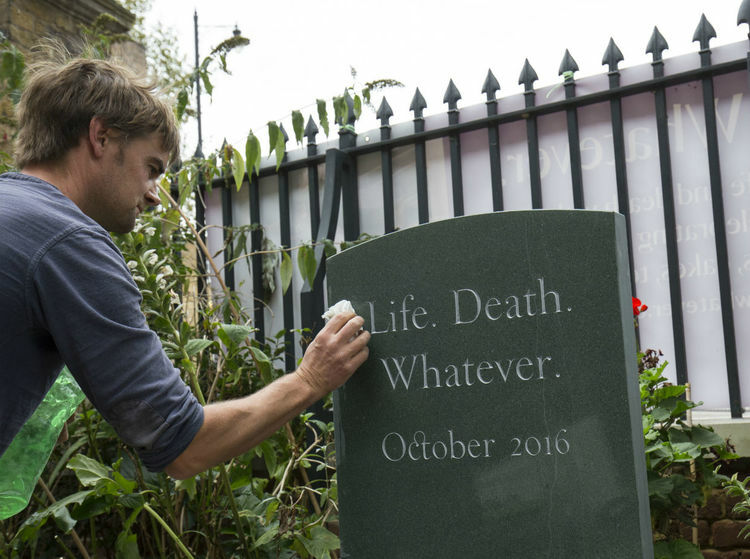 I was asked to make a special headstone which I installed at Sutton House in time for the event. In collaboration with the National Trust’s Sutton House the ‘Mary Poppins of Death’ Louise Winter and end-of-life doula Anna Lyons present Life. Death. Whatever. The aim of the event is to "redesign the dialogue about death and dying, to open it up and to find new approaches to this fundamental subject". This is part of a movement which is encouraging more open discussion about death, and aims to engage the public in the subject which is so often brushed under the carpet. Throughout the month of October, Sutton House will host an eclectic lineup of events, installations and workshops, encouraging creative reflection on life, death and everything in-between. Above is a photo of me cleaning the headstone after installing it. The lettering is based on Caslon, carved in slate. If you would like to visit the exhibition, or read more about it visit the website, Life Death Whatever or the Sutton House Website.